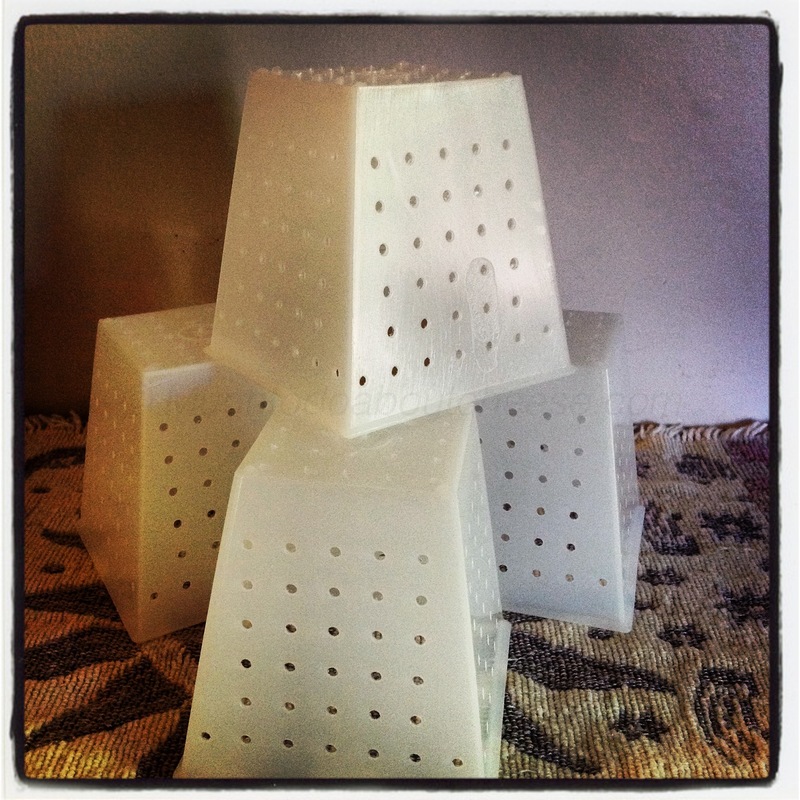 Once again I fell into the trap of making cheese, trying it and moving on. I have issues being motivated enough to write posts for the site. I have been lax in my picture-taking, except for Instagram/Facebook. Well the time has come for me to play catch up. 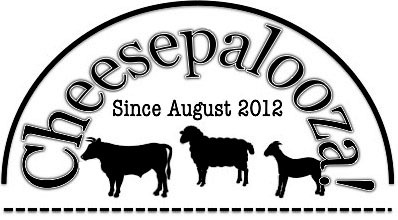 I want to share a cheese that has changed my mind about Blue Cheese. 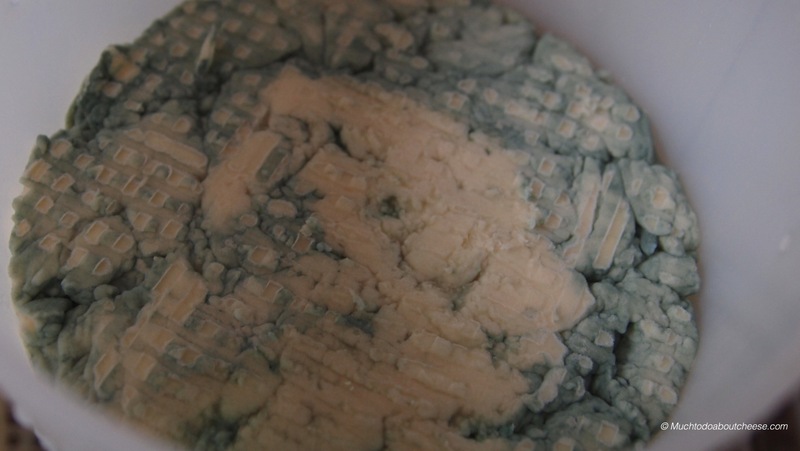 On December 27, 2014 I made my first proper blue cheese, it was a Stilton Style cheese. Now 3 months later it was time to open up this cheese and see if the finished product was any good. 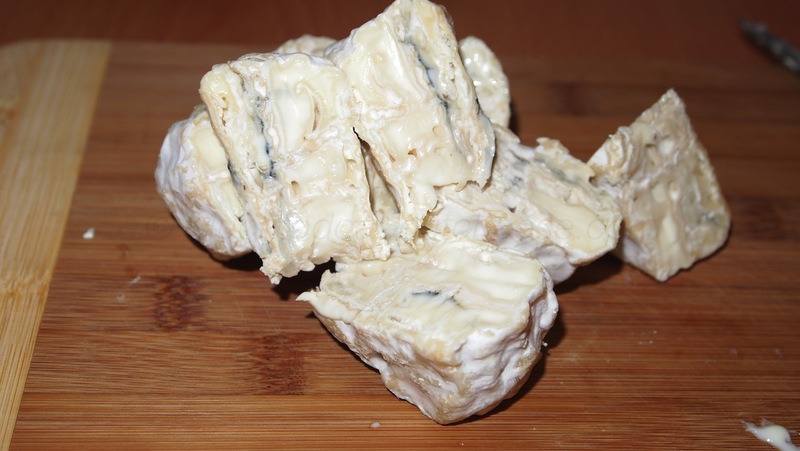 Blue Cheese – The Taste Is Kind Of Growing on Me! In the past I may have made some unkind comments about blue cheese, even after making several attempts to make a lactic blue. My version of Stilton has started to change my mind. The Blues & The Greys – Stilton Update. I know it has been over a week since my last post, but things have been a bit hectic, that combined with a bit of flu thrown in for good measure. 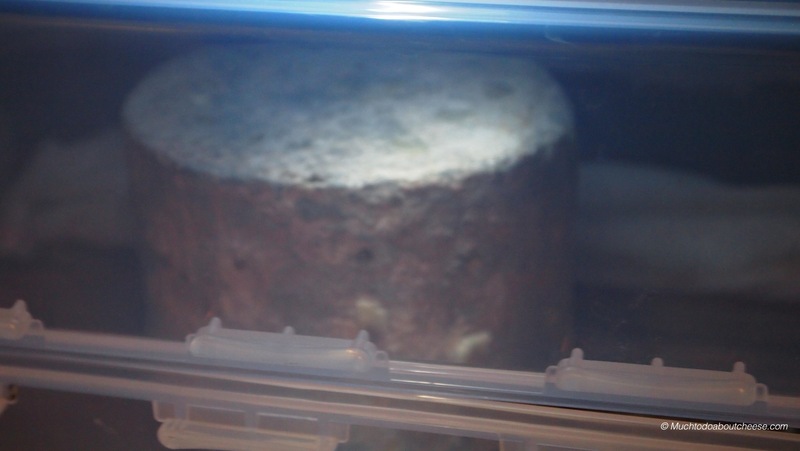 The Stilton has been showing signs of life over the past couple of weeks, so much so that it still has its own ripening box and cheese fridge. Just after Christmas and before New Year’s Eve, I made my first attempt at a proper blue cheese. Now a few days later it was time to check on the cheese and see if it was time to smooth or “rub up” the surface, to form a proper “sealed” rind. As of the 5th day of draining there was a decent amount of blue. I have toyed with lactic blues over the past few months with varied success, but as 2014 drew to a close it was time to buckle down and make a proper blue. 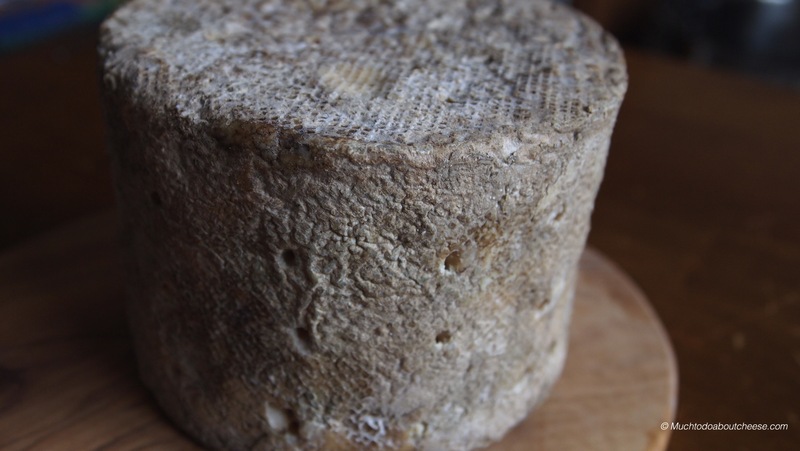 With so many choices, I thought the classics don’t go out of style and I have had requests for a certain English Blue for a while; so a Stiltonesque cheese it was to be. 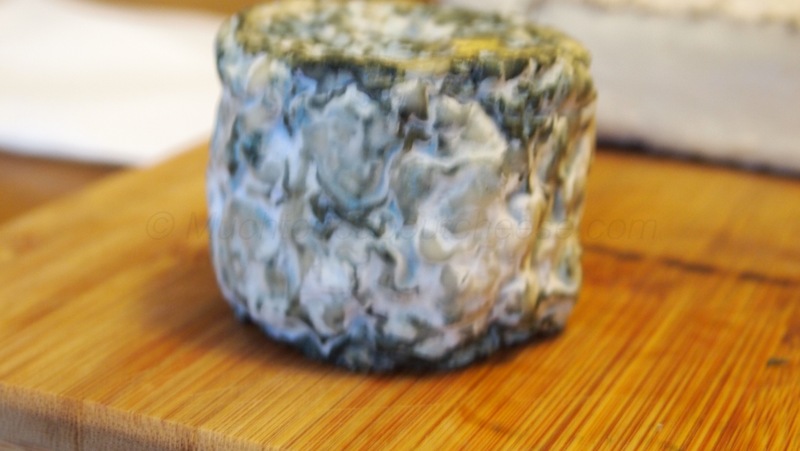 Stilton, both Blue and White versions, have PDO status by the EU and can only be made in three counties (Derbyshire, Leicestershire, and Nottinghamshire) in England, using pasteurized milk, to be considered Stilton. 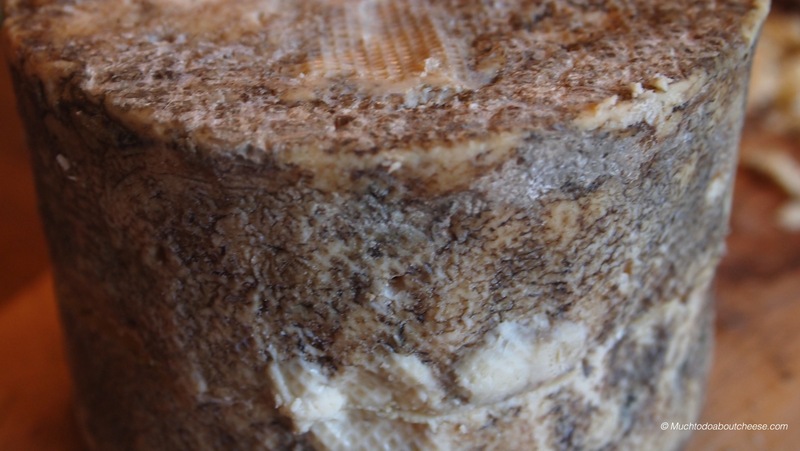 A Raw Milk version of Stilton, co-created by Randolph Hodgson of Neal’s Yard Dairy and American Joe Schneider, is called Stichelton because of the conditions of the Stilton PDO. Would a Stilton by any other name smell as funkilishous? Would it taste as great? It was time to fire up the cheese vat and find out. With the cultures and P. Roqueforti added the Stilonesque was under way! 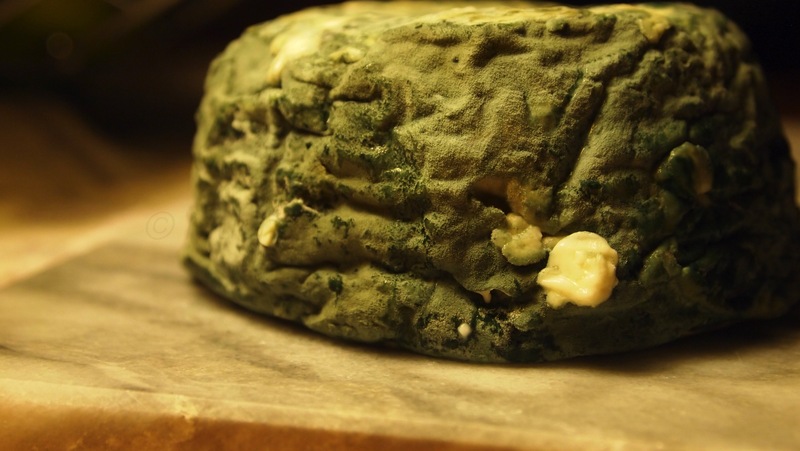 Blue Cheese #4 – The Great Deceiver, or One Cheese Does Not Make A Success! Inching Closer To the Blue Side! 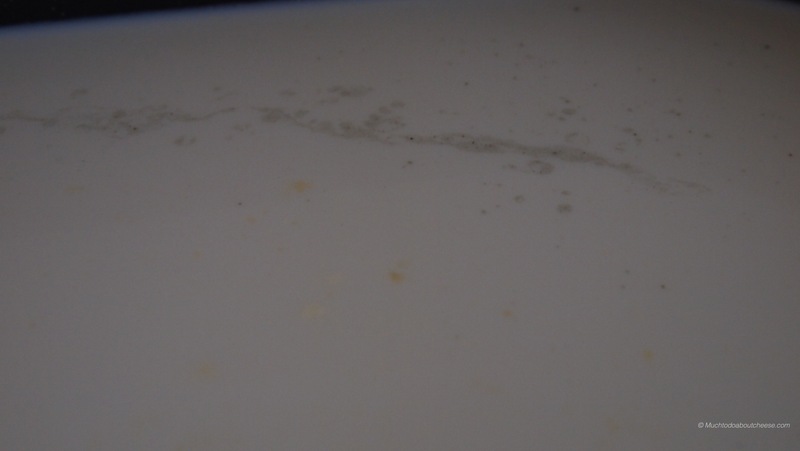 I have been pestered…er…asked for a few years now to make Blue Cheese, as you know I have resisted until recently. My first attempt was nice and blue, but a salt-lick. My second attempt resulted in some pretty looking cheeses, but no blue in sight. My third attempt was a little more successful. Hey, that looks like some blue in that there cheese! The Blue Review – Testing the Barrels! It was time, a time that I was both excited and feared. It was time to try the Blue Barrels, my first Blue Cheese. How would it taste? Would I like it, would my friends like it?